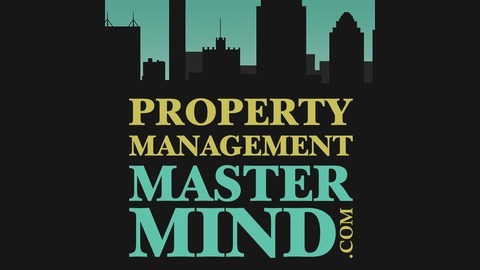 The Property Management Mastermind Show and Property Management Productions was formed to provide information and products BY Property Managers FOR Property Managers looking to grow and run their business. The podcast show is an interview discussion conducted by Brad Larsen – a Property Manager in San Antonio, TX. In this Podcast show, Brad will interview some of the biggest and brightest stars in the Property Management industry to include National Association of Residential Property Management (NARPM) members, Leading Property Managers of Australia (LPMA) members, and key vendors in the property management industry with the goal of being able to gain insight for best practices, new trends, and exciting information to help you grow and run your business more successfully. I love offering listeners fantastic benefits, such as some great discounts for products, with new offers coming all the time! 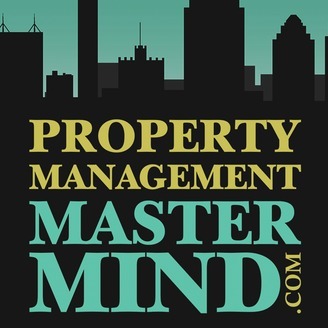 You can see a complete list at Property Management Mastermind. For all of these offers, use the discount code “Brad” to secure your discount. Be sure to grab a seat for our Pulling Back the Curtain Conference in August in Denver, Colorado. Find out more information on our website. Matt Spahn is a native born Texan. He started out in law school and took every class available for estate planning, which is very rare for a law student. Matt holds 2 degrees from Texas A&M University; one in English and his second degree a double major of Political Science and history. He earned his doctorate of jurisprudence from Baylor Law School. He has created trusts for his clients for 27 years. Matt is the only lawyer in the United States who has been vetted and approved by Dave Ramsey. He is a member of the 2005 Leadership Lab class of the North San Antonio Chamber and has been named the Outstanding Attorney for Estate Planning by the San Antonio Business Journal in 2011 and four-time Five Star Wealth Manager award winner. Matt and I first met over 15 years ago when I worked in real estate sales and sold him his home. We’ll learn today state planning, using property trust and how these apply to property management space. We will also explore why having an estate plan for your family and business is a better safeguard than just having a will. What are the benefits and why an estate plan carries over and outlasts your beneficiaries and the importance of this key detail. [03:34] Brad welcomes listeners to the show and introduces Matt. [09:13] Matt talks about the wealth boom in Texas and how this affected his business and how he has helped a few lottery winners. [09:53] Common issues people deal with when estate planning. [11:15] What happens when you don’t plan your estate. [13:22] What would happen to your business if you are incapacitated or pass away without an estate plan? [15:22] Probate alternative if you don’t have a will in place: and what happens with probate. [18:31] How a trust makes these situations seamless and smooth and the four strengths of a trust. [20:22] Trusts create a sequential transfer of assets, but a will does not. [22:22] How a trust protects your family and has a safety net for where your money can and cannot be placed. [26:36] Your plan needs to survive you and your beneficiaries. [27:45] What you should consider for your estate planning. [29:45] LLC and corporation versus a trust for estate planning regarding liabilities. [32:46] What can I do to protect the rental properties, investment properties and homes in my LLC or real estate company?